StickNoEvil is now under new ownership, and we are committed to continuing the tradition and passion of StickNoEvil. We will continue to search for the most innovative ways to produce custom stickers to get your message across. We hope to reconnect with all of you in the near future. Special thanks and deep appreciation go out to our clients who were patient during the transition. Kudos to Erica and Mike…you guys are awesome! 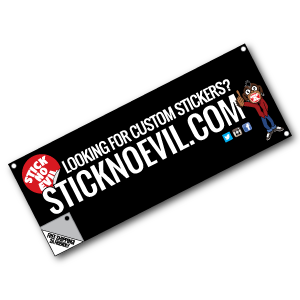 Are you looking for custom stickers, labels or decals? You are in the right place! Ready to get started? 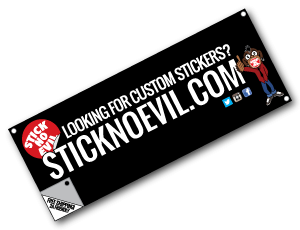 Contact us at 315-576-6377 or email us at info@sticknoevil.com.